A gas station advertises gasoline for $1.68 a gallon on January 20, 2015 in Dellwood, Missouri. Nationwide gas prices are averaging $2.05 a gallon, their lowest level since early 2009. Falling gas prices could drop even lower in the week ahead, with the national average dipping below $2 a gallon, according to one group that tracks prices at the pump. But those planning a road trip may want to fill up their tanks fast, as the low prices are expect to drive away in the coming weeks. The national average for gas prices, currently at $2.05 a gallon, is expected to drop to no lower than $1.95 a gallon by next week, the website GasBuddy said Wednesday. Prices have not fallen this low since March 25, 2009, the group said. Prices at more than 50 percent of gas stations in the United States have already hit the $2-or-less mark, Gregg Laskoski, a senior petroleum analyst with GasBuddy, said in a statement. However, as the weather starts to get warmer and people start to travel and spend more time outside, demand for gas will also start to pick up by early February, increasing gas prices, analysts say. 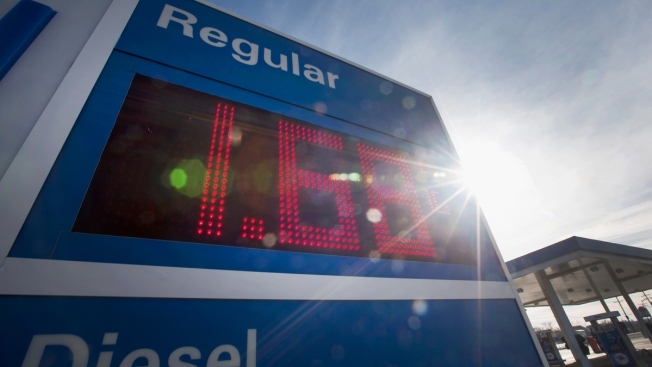 In February, gas prices should rise 30 to 50 cents per gallon due to the increase in demand. Nevertheless gas prices are expected to remain much less expensive than in recent years, where prices were close to $4 a gallon as opposed to the coming months where prices will be closer to $3 a gallon. "We should start to see the national average bottom and stabilize in the coming days or weeks, but not months," according to Patrick DeHaan, senior petroleum analyst at GasBuddy, said in an interview. Michael Green, Manager at AAA Public Relations identified two main contributing factors to the declining prices at the pump— an economic slow down and an oil game with Saudi Arabia. The slow economic growth in Asian countries like China, Japan and in Europe, especially now with talks of Greece leaving the Euro Zone, means that the demand is weak in those countries, while the supply continues to remain high in North America, Green said. He also said one goal of oil-producing countries within the Organization of Petroleum-Exporting Countries, particularly Saudi Arabia, may be to create a situation where oil drops so much that U.S. production of oil will decline so that it will no longer be profitable to produce oil in America. Saudi Arabia, OPEC's largest member, is hoping to regain the market share that they’ve lost, he said.